Week of October 8th | ECMS Admin Positively Rocks! Please join us for Literacy Night on Wednesday, October 10, 2018 at 6PM hosted by our Language Arts and Social Studies Departments. The whole family can enjoy games and activities related to Literacy (Reading, Writing and Speaking) including cakewalks, jeopardy, Escape rooms, spoken word, and sipping. WE have huge Literacy baskets up for grabs and fun for the whole family! Participants can enter to win one of three cool baskets (a game themed basket, a movie themed basket, and a puzzle themed basket). The Book Fair begins the evening of October 10th as well. Come and get great deals on books and literacy items on opening night! The book fair will be held in the Learning Commons. We can’t wait to see everyone! 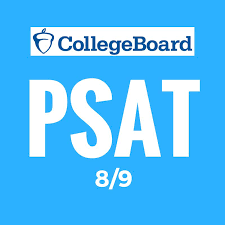 8th Grade students will take PSAT! PSAT test administration will be Tuesday, October 9, 2018. It is a one day administration and there will be no make-ups. The notification of the test was sent home to parents on Wednesday, October 3, 2018. Conference Week is approaching… Be on the lookout for more information. Conference week will be held on October 15th – October 19th. School will be dismissed for Conference Week/Report Card Distribution/Early Release daily at 1:30PM. Your child’s homeroom/conferencing teacher should be reaching out to you this week, if they have not done so already to schedule your parent/teacher conference. There are three different opportunities during conference week. You may select a face to face, a phone conference or no conference at all (in which you would just like to receive your child’s Quarter 1 report card and accompanying documents sent to you). Performing Arts envelopes came home a couple weeks ago. Students must have signed permission to participate and attend any of the Performance Arts events that are brought to East Cobb Middle School, regardless of a donation. The requested donation is $14, however a donation in any amount would be appreciated. Students must have signed permission to attend the performances with or without a donation.